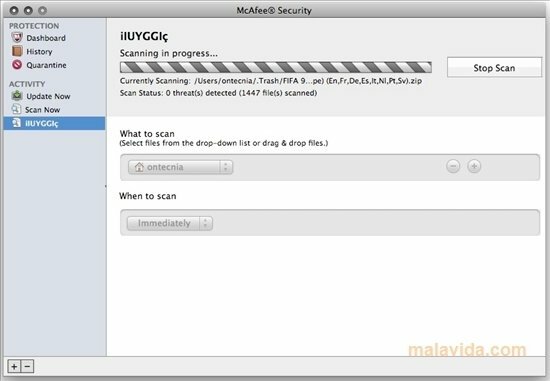 McAfee Security, that used to be known as Virex, is a tool that has been designed to protect any Mac computer from the dangers that lurk on the Internet, that can work out being dangerous for our security and for that of the documents stored on our computer. This tool includes several analysis systems that will search, detect and eliminate any kind of malware that has managed to get into our computer. The program has an interface that is very easy to use, ideal for any user, even if they don't have great computing knowledge. From the main window we will be able to access all the analysis and process programing controls, with which it will be possible to establish the exact moment at which our computer will be searched to find threats. 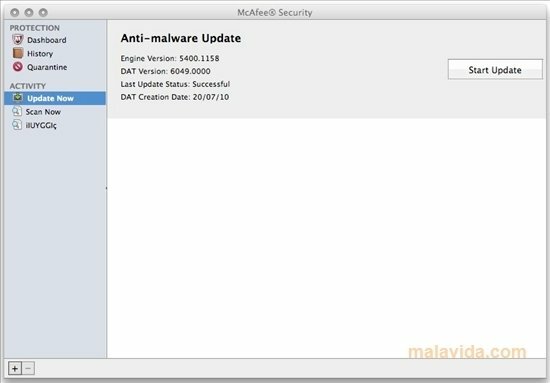 Since it has been developed to be used in a professional environment, McAfee Security can be used not only to remove malware from our computer, but also to do so from hard drives that can be found over our network, and that may have been infected by other users.